View books by this author DEWAR, George A.B. December 19 1915 to November 11 1918. 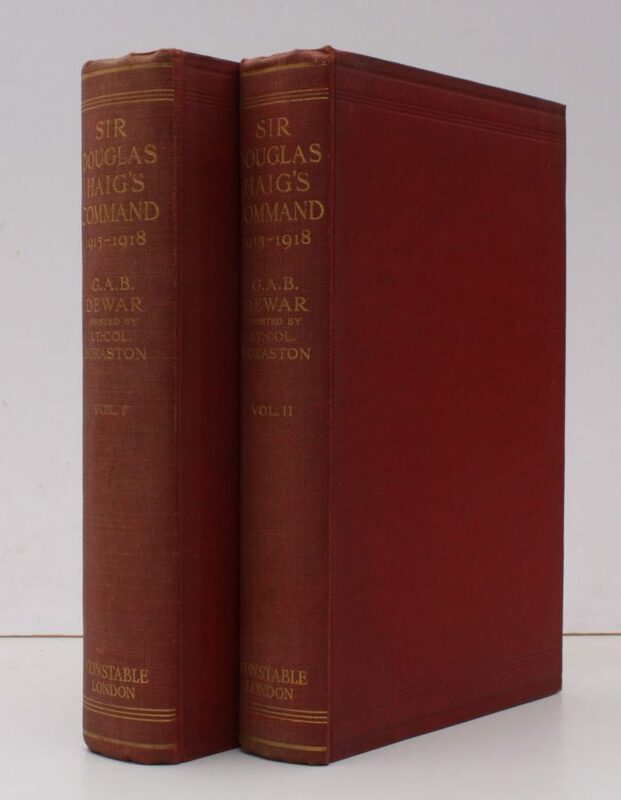 2 vols., 8vo., First Edition, with folding maps on japon, free endpapers mildly browned; red cloth, gilt backs, uncut, a very good, bright, clean copy. 'Has a certain importance owing to the fact that the authors were allowed to use the late Lord Haig's private diaries and correspondence' (Falls). Enser, p. 160; Falls, p. 24.